As exciting as it is expecting twins, the reality sets in when you realize how many things you need. Finding affordable products that will be replaced regularly, like skincare, is really important. Thankfully Cetaphil has an entire line of baby products that are easy to find, affordable, and gentle for baby's sensitive skin. 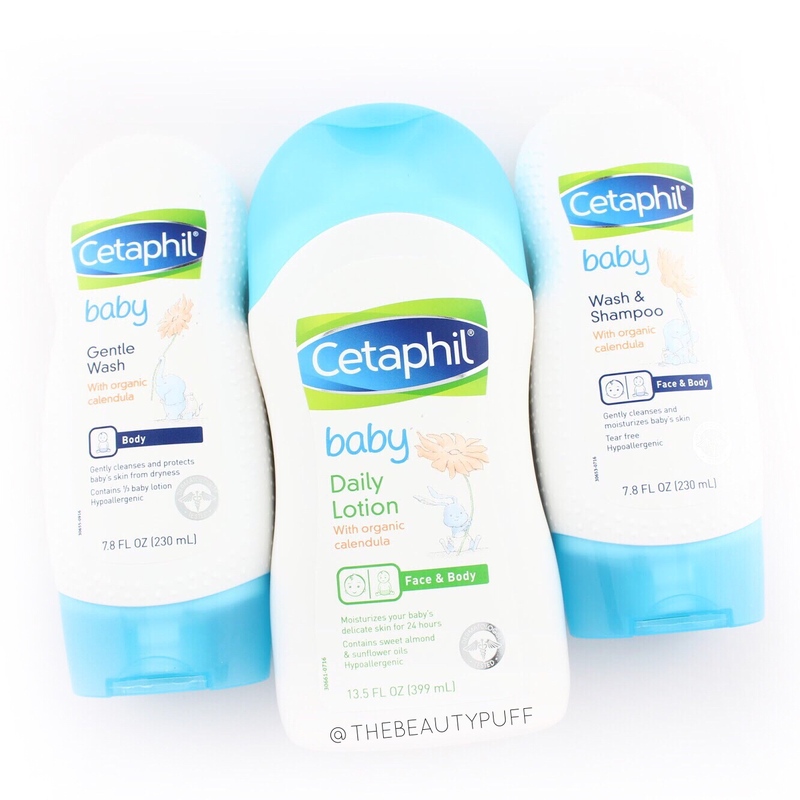 Products | The Cetaphil Baby line is comprised of baby washes, lotions and a diaper cream. I have the Baby Wash + Shampoo, Baby Gentle Wash, and Baby Daily Lotion. Each product is labeled Face, Body, or both so you know how to use each one. I love an all-in-one product so I see myself loving the Wash + Shampoo to make bathtime as efficient as possible. Overall, this line up covers all the necessities so we're sure to have the basics for our newborns. Style | Let's talk packaging. How adorable are these bottles?! The sides are easy to grip and the tops just flip open so there are no covers to keep track of. These make application as easy and quick as possible. With two little ones on the way, we're going to need all the help we can get! Formula | Cetaphil Baby formulas are made without parabens, colorants or mineral oil. They have organic calendula extract which helps soothe sensitive skin. I even tried them and they feel soothing without leaving residue on the skin. I can even use these products on my toddler who also has sensitive skin. One product for all the kiddos means easier shopping too! You can find Cetaphil Baby products at drugstores, Walmart, Target and Target.com below.